Go-Kart racing in the outer banks of NC. Rate and review Full Throttle Speedway in Nags Head, NC, United States! 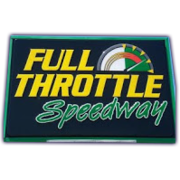 Share your experiences at Full Throttle Speedway with your friends or discover more Arts & Entertainment in Nags Head, NC, United States.